The Ministry of Healthcare of the Russian Federation is a federal executive body responsible for development and implementation of state policy and normative legal regulation in the healthcare sphere, compulsory health insurance, drugs treatment for medical use, including organization of diseases prevention, specifically infectious diseases and AIDS, medical assistance, rehabilitation and examinations (with the exception of medical and social expertise and military medical examination), pharmaceutical activities, including the provision of quality, effectiveness and safety of drugs for medical use, circulation of medical products, sanitary and epidemiological welfare of the population (except for development and approval of the state sanitary and epidemiological rules and hygienic standards), healthcare for employees of certain industries with dangerous working conditions, medical and biological evaluation of human exposure of highly dangerous factors of physical and chemical nature, spa industry, as well as introduction of modern medical technologies, new methods of prevention, diagnosis, treatment and rehabilitation, forensic medical and psychiatric examinations, organization of secondary vocational, higher and additional professional medical and pharmaceutical education as well as provision of services in the field of spa industry. The Ministry of Healthcare of the Russian Federation coordinates and controls the activities of the following organizations which are under its jurisdiction: the Federal Service for Supervision in the Sphere of Healthcare, Federal Bio-Medical Agency, federal government agencies and federal state unitary enterprises, as well as coordinates the activities of the Federal Compulsory Medical Insurance Fund. Education Coordination Council “Healthcare and Medical Sciences” contributes to formation of educational policy in the field of medical and pharmaceutical education. Coordinating the work of educational organizations, it provides coordination of actions of all participants of the relations in the field of training. Working with employers, public associations and media, the Council forms the social control of the industry. We believe that the activities of the Coordination Council will contribute to the formation of the Russian quality assurance system for training specialists of higher education level, continuity and harmonization of the healthcare system as a whole. 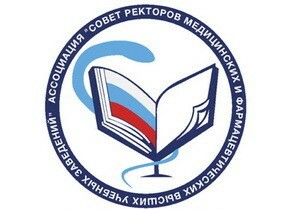 Association “Council of Rectors of Medical and Pharmaceutical Educational Institutions of Russia” is a non-profit corporate organization uniting legal entities and (or) citizens on a voluntary membership basis and representing and protecting common and specifically professional interests to achieve socially useful purposes as well as other purposes specified in the Charter. I.M. 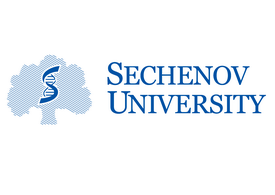 Sechenov First Moscow State Medical University is the leading medical university of the country and the successor of the medical faculty of the Imperial Moscow University. Its history dates back to 1758. The University is the home of the majority of domestic medical schools and scientific societies. The University is the center of the academic, scientific and resource superiority in the Russian healthcare system. We educate the future leaders of Russian and foreign healthcare. The mission of the University is to create conditions for development of medical education and science, which allow providing Russia with the rightful place in the world healthcare system. 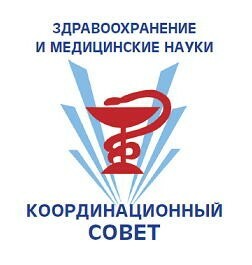 Mission of All-Russian public organization "Medical League of Russia". Serve the development, consolidation of the medical community and strengthen Russia's competitiveness in the global competition of research and educational platforms and innovation. Integrate the efforts of the medical community, educational institutions, non-governmental organizations to improve the quality of life of the population of the Russian Federation (education, decent job, good income, social protection). Promote the development of the all-Russian system of independent assessment of the quality of education, helping to improve the competitiveness of educational organizations. Develop, compile and distribute innovative educational technologies, programs, didactic tools and best practices of medical and pharmaceutical educational institutions and regions of the Russian Federation in the field of organization of work on the preservation and strengthening of health of citizens.